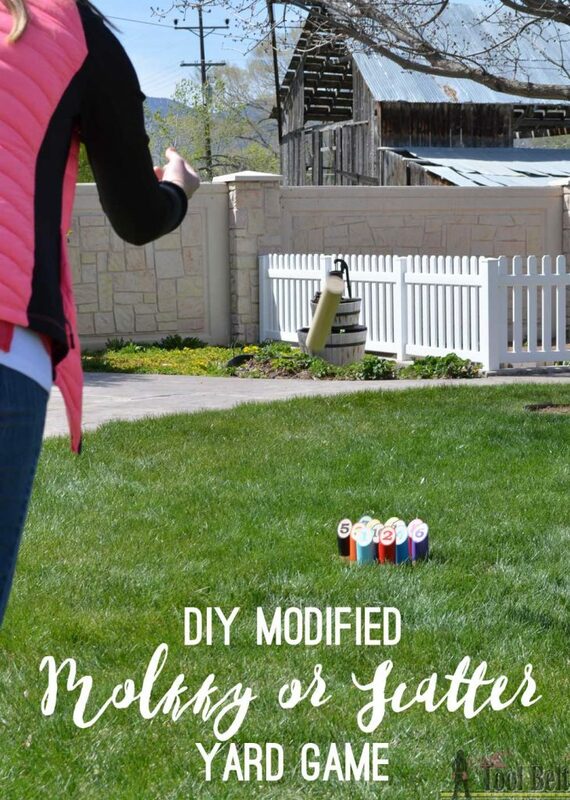 When the temps warm up outside, we love to get out, catch some vitamin D and play yard games. A few years ago we discovered Kubb and have had lots of fun playing that on the beach and at family gatherings. While looking for a similar game that might be easier for little kids to play, I came across Scatter or also known as Molkky on the other side of the pond. Rack up the 12 skittles and toss the baton to knock them over. Score exactly 50 points, You Win! You can read more about Molkky here. Although easier for the kids to participate, someone older will probably have to help keep score. 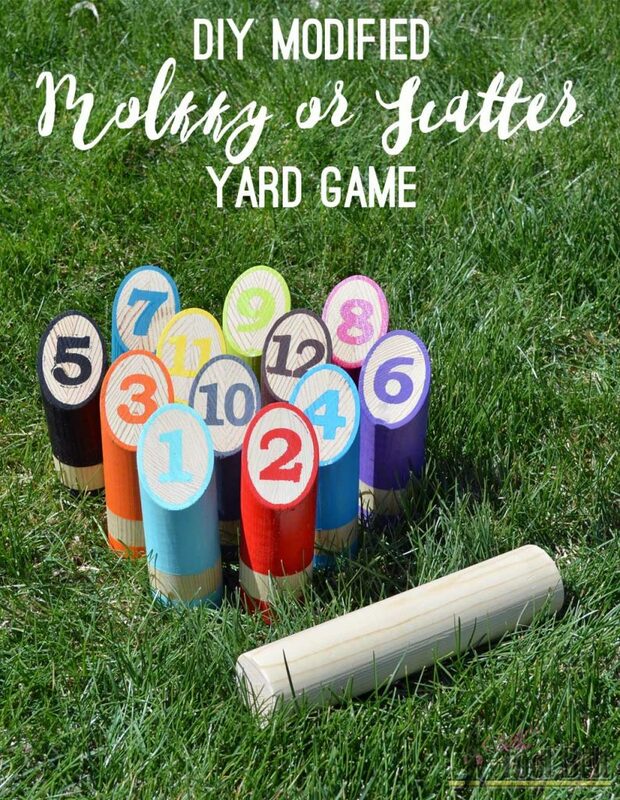 I had to make a modified version of this yard game. 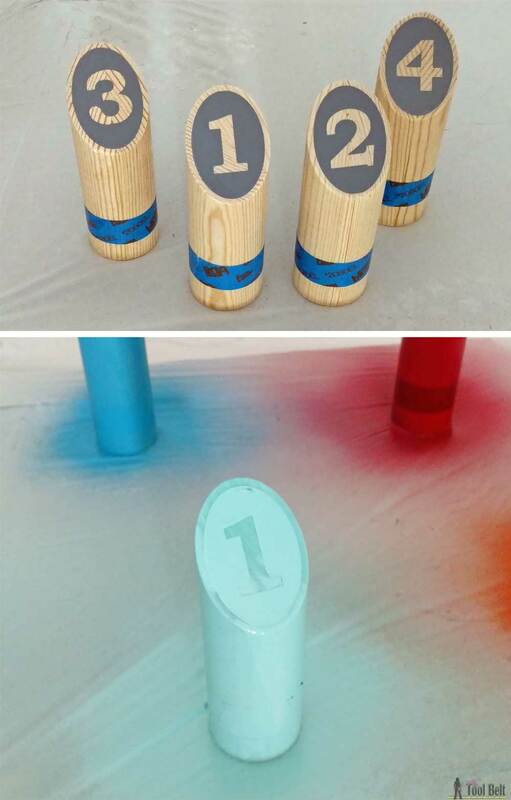 It is difficult to find the exact diameter of wood for the official game size, but even the modified version will keep you entertained for hours. I used readily available 2” dowels for this project, but a $4 landscaping timber would be a cheap substitute. Since the pieces you hit over are called skittles, I decided to make mine a rainbow of color. 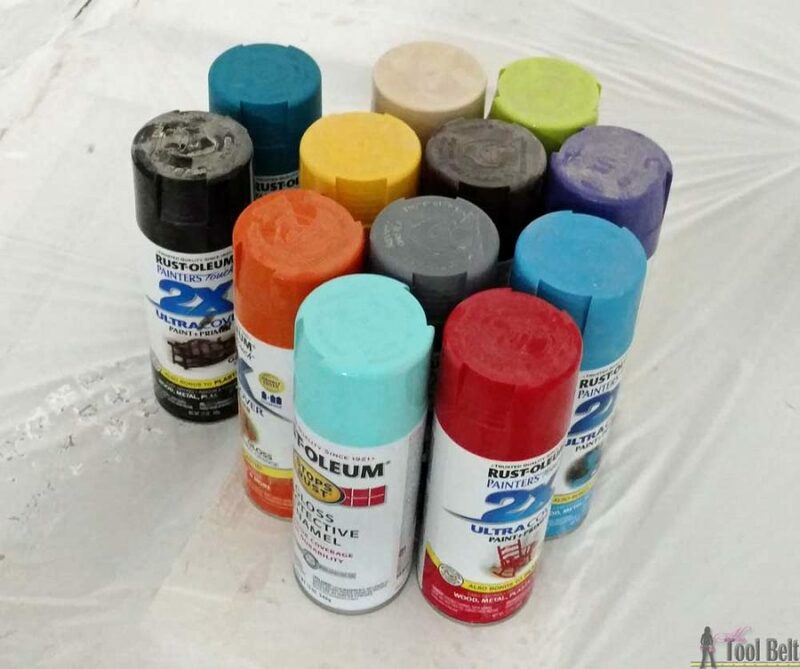 I just happened to have 12 partially used cans of spray paint in the garage…apparently I have a problem. I used a cutting machine to make the number stencils, then sprayed each skittle a different color. 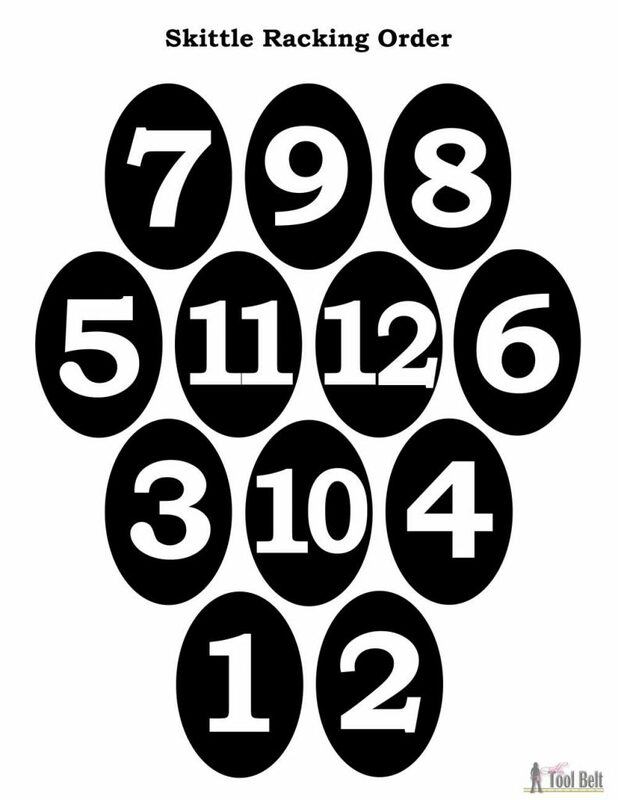 I made a template for the numbers that you can print off, and when I figure out how to make a Silhouette cut file, I’ll link that too. I’ve teamed up with Ryobi Nation again for the step by step tutorial and plans. Click HERE to go to the tutorial. 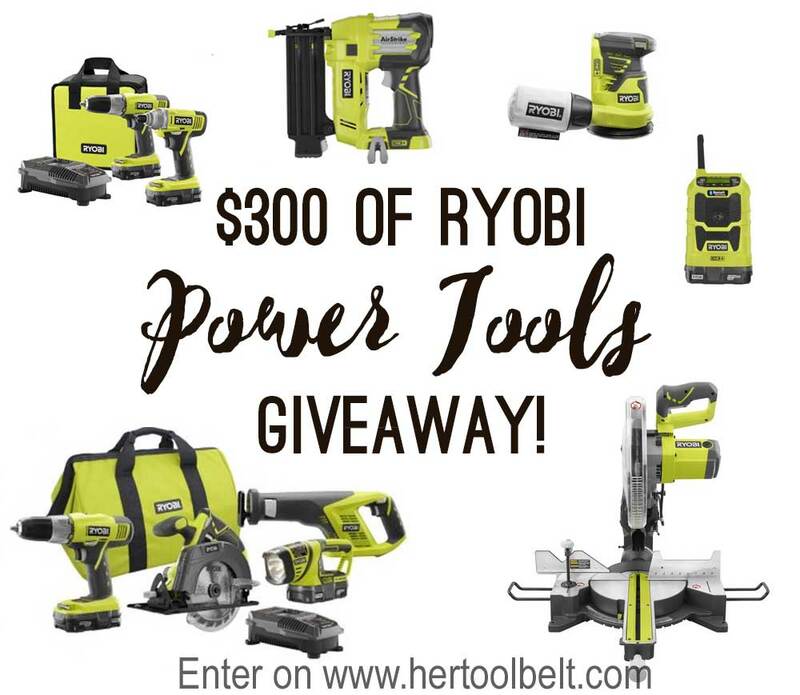 They are sponsoring another awesome giveaway for $300 worth of Ryobi Power Tools! Use the widget below to enter. Good Luck! The giveaway runs until May 31, 2017 at midnight MST and is open to residents of the continental United States. Prize for up to $300 in Ryobi Power Tools, does not include Outdoor Tools. This post is sponsored by Ryobi Nation, all opinions and ideas are mine. I’ve never heard of this game but it looks fun! Love the colorful pins. Visiting from Creativity Unleashed party.